In the early 20th century, the world’s dominant superpower looked warily on the rise of a competitor to its supremacy. The machinations of the British to contain the rise of Germany led inexorably to the First World War. Once again in the early 21st century, the world’s dominant superpower is looking warily on the rise of a competitor. Will the American Empire’s machinations to contain the rise of China lead to the Third World War? Or is the American/Chinese conflict another engineered cold war to keep the world in a state of static tension? James Corbett will explore these issues at the Open Mind Conference 2017. James Corbett has been living and working in Japan since 2004. 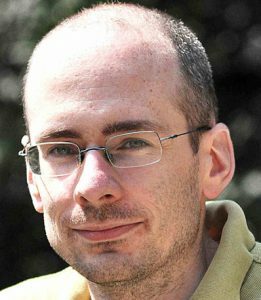 He started The Corbett Report website in 2007 as an outlet for independent critical analysis of politics, society, history and economics. Since then, he has written, recorded and edited thousands of hours of audio and video media for the website, including a podcast and several regular online video series. He produces video reports for GRTV and is the lead editorial writer for The International Forecaster, the weekly e-newsletter created by the late Bob Chapman. The Corbett Report is an independent, listener-supported alternative news source. It operates on the principle of open source intelligence and provides podcasts, interviews, articles and videos about breaking news and important issues from 9/11 Truth and false flag terror to the Big Brother police state, eugenics and geopolitics.